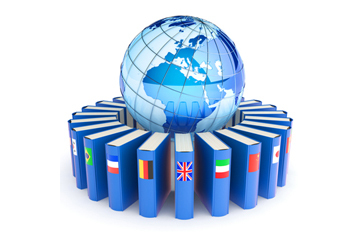 It has been estimated that over 90% of translation work involves the translation of technical documents. Much of this is needed whenever a company introduces a new product which is destined for the global market. Technical translation is not just a matter of translating instruction manuals and information central to the maintenance and use of the product but may also mean providing documentation when negotiating the introduction of the product to an overseas market. Because of the specific challenges of technical translation it is vital that businesses that have a need for this choose document translation services that are professionally equipped to deal with technical translations. It is not uncommon for businesses to try and economise on technical translations at first, but eventually find that this can be a false economy. In some situations, a poorly translated manual or information sheet could lead to someone getting hurt. Imagine leaving a translation of how to use a new drug, for instance, to an amateur translator and then releasing the drug on to the global market! Or perhaps it might be the release of a new piece of electronic equipment. Expecting buyers to understand how to get the best out of the device by reading instructions in English or a badly translated equivalent may mean the device is never used properly, breaks down, is potentially dangerous and may get a negative review in the market it was intended to sell in. The main challenges of technical translation compared to non technical translation are two-fold. Firstly, the terminology used in the document is likely to be specific to the sort of product for which the document is intended. This means that the translation service in Sydney, or whatever city in Australia is used, has to have translators with the technical know-how and a thorough understanding of the terminology in the target language or languages. Many translation services do not necessarily have that technical language so it means that the customer has to search quite carefully before they decide on who to use for their technical translations. Secondly, a good document translation service will do more than just translate your technical documents on demand but will build up a relationship with your company that will grow with the expansion of your business with the overseas market you are seeking. Technical translators should be able to build up a glossary of technical terminology that can be used to expedite all further translation work. A good working glossary and style guide will help retain consistency when localizing document translations as well as help to speed up the translation time.